To Visit This Business Please Select the button to the Left titled "Sign NDA." Small Cafe in the upscale area of El Dorado county. 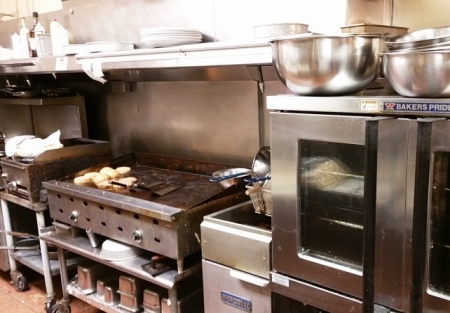 Perfect for Chef or Owner Operator. Decor is casual with a Country European feel. There is a Bar with nice dining for 62 seats inside and room for about 24 outdoor seats as well. This retail center in a popular area with lots of services for locals and Highway 50 close! Easy Freeway access. The space is end cap in a retail center. Highly visible...a new owner could continue with the current menu or go new concept. Live music, website and social media already in place...Great Reviews Too! Current menu serves Breakfast, Lunch and Dinner with a focus a European flair serving Savory Crepes, Soups , Burgers, Sandwiches, Salads, Panini, Dinner Entrees include Steak, Chicken, Fish & Pasta dishes...great desserts too. Espresso, tea and soft drinks. Beer and Wine license as well ! Lease is great! at $2,700 for 1,760 sqf. and includes Large Patio. Sales average 2017 is around $36K per month. Sales were $429,937K year end 2017. Add to or change concept.